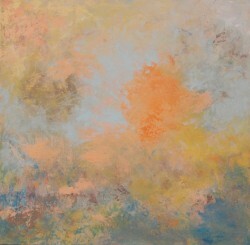 Cermanski is an artist and educator who lives and works in Santa Fe, New Mexico. 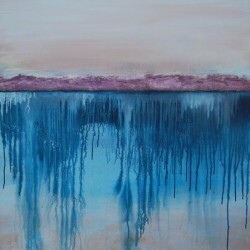 She has been creating art for over 15 years, and has a Masters in Art Education. Cermanski calls her work the antithesis of Trompe l’oeil: rather than trying to “trick” the viewer into believing the image is reality, she aims to intrigue the viewer with paint in its beautiful simplicity. 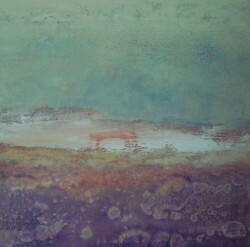 Her work is a conversation in color inspired by the intricacies of the natural world. 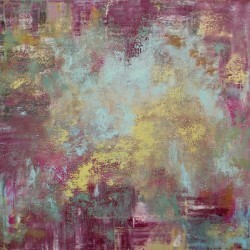 Extracting her palette from nature, her work embodies the delicate interplay of light and color, texture and form. Similar to the excitement of recognizing familiar images while watching clouds, her work seeks to grasp the contemplative eye of the viewer.